Fabric of the Soul guides and motivates a rich understanding of the relationship between physical ailments and the mind and soul. This is the heart of Extraordinary Vessel Theory — a tradition in Chinese medicine that yields knowledge about modern syndromes and illness affecting multiple body systems. Fabric of the Soul is clearly written and illustrated with illuminating case studies that provide easy access to a complex theory. This is a resource book to enrich the study and practice of acupuncture and Chinese medicine, Jin Shin Do® Bodymind Acupressure®, shiatsu, taiji and qigong. There is an energy template held within all living things. Life gives us a template from which we grow. Like trees, or stars, or the formation of a human embryo, the automatic construction of life happens from intelligence beyond our comprehension. 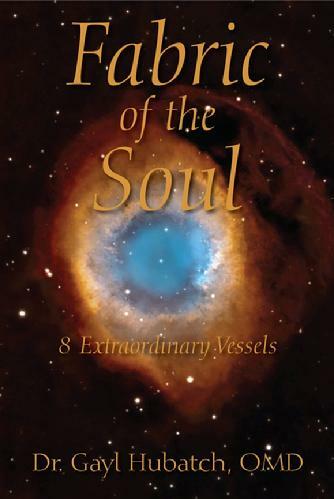 The eight extraordinary vessels are the energetic template of the body. It is a genetic and vibrational coding that comes from ancestry and the natural cycles of life. Treatments using the extraordinary vessels must affect the template that created a pattern of illness. The energy field that is emitted is affected by illness. The moon moves the tides, sunlight beckons flowers to open, lovers exchange faraway kisses. Life is contained in fields of energy.